The Echo Tile Collection revitalizes an art form that developed in France in the mid-1800's and quickly spread. The Andalucia Tile Collection of cement tile brings sensual form and layered color together in distinctive yet subtle shapes. The Minis Tile Collection are a modern cement version of the famed zellige ceramic tiles of Morocco. The Olvera Collection combines the earthy colors and textures of terracotta and stone with the durability of concrete. A sigh of relief. A breath of fresh air. Something new’s happening in the world of patterned cement tiles that puts a whole new spin on your surfaces. Introducing relief patterned tiles from Granada Tile. These tiles offer a beautiful textured finish that layers your space with beauty and depth. I selected Granada Tile for my first project because I was inspired by the encaustic tile in my travels to Spain and wanted to recreate the look in a client's home. I have used Granada Tile for numerous kitchen, bathroom and exterior projects because the product has many possibilities and is durable. I have used stock colors and patterns as well as customizing them. The opportunities are endless. For me, the best thing about Granada Tile is the fun of customizing a tile to your specific color palette and vibe. I love working with Granada Tile!!! The product is exciting, unique, and provides an added layer of interest into a space. I always get excited to see what fun patterns and colors we can combine to create a custom tile. Plus, working with the company is effortless and a joy. Thank you for consistent service and a fantastic product! Cement tiles – also known as encaustic tiles - are quickly becoming a trendy design option for home and business owners of all kinds, tastes, and budgets. However modern they may seem, cement tile has been used in homes and shops since the end of the 19th century. Only the wealthiest and most prestigious had cement tiles in their homes and businesses for their superior quality and durability, and for their one-of-a-kind designs. Nowadays, just about anyone can take advantage of the beauty and benefits of this product. If you’re interested in furnishing your home or business with an artisanal, handmade product, then cement tiles from Granada Tile are what you’ve been searching for. Cement tiles have been revered for their unmatched durability, crack and chip-resistance, waterproof finish, and incredible amount of designs and possibilities available for years. Hard wood floors continue to be a popular choice among home and business owners for their perceived value and aesthetic. However, hard woods are limited in use, and while they look gorgeous at first, they can quickly become scratched, faded, and warped due to water damage. Ceramic tiles are a lovely alternative to hard woods but history has shown us that they aren’t the most durable option either. The cement tiles at Granada Tile are hand-poured and set by an immense amount of pressure to create a nearly impenetrable product. They come in so many more looks than hard woods, and eliminate virtually all of the associated concerns of wood floors and ceramic tile. Why Choose Our Online Cement Tile Shop? While Granada Tile does not have any physical stores or showrooms, our extensive online cement tile store and information center provides far more convenience and possibilities than you could find in a typical brick-and-mortar store. You can browse each of our collections right in the comfort of your home, or, you can pick and choose the patterns, sizes, and colors of concrete tiles you like best, to create your own custom design. Browse through our blog to get ideas for patterns, combinations, layouts, and applications. And get inspired by the amazing transformations we’ve been a part of in our online Lookbooks. Granada Tile has made tile shopping easy, convenient, and fun, and we’d love to give you an amazing experience and cement tile product you’ll absolutely love, for your home or business. 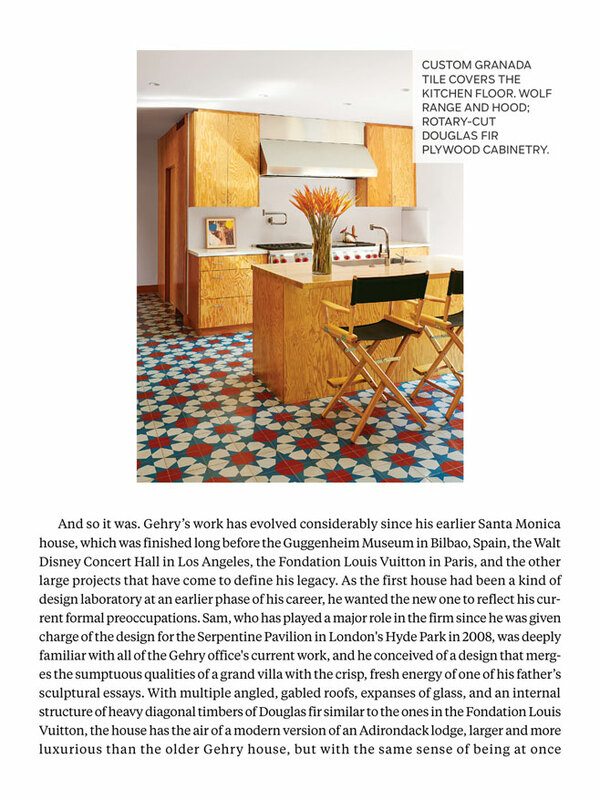 Where hard woods stop, decorative cement tiles are just getting started. The design options range from neutral tones and simple curves and lines, to bold and modern designs, to colorful and whimsical, to eclectic, and ethnic. When you’ve decided to add concrete tiles in your space, the first step will be choosing the atmosphere you want to evoke. After that, you can choose a single tile design, mix and match various styles, incorporate multiple colors and patterns, or you can contact our design professionals to have a design custom made for you. Call us today at 213-788-4238 to get started transforming your space with cement tiles! Our collections are sought after by homeowners, business owners, and interior designers alike who are searching for top quality, artisan concrete tiles that can deliver both elegance and unmatched durability. Check what is available in stock for immediately shipping right away. Each of our cement tile collections offer a different overall style and theme, and come with various sizes, shapes, and colors of cement tiles. Once you’ve decided on a tile design, we suggest ordering a free sample tile from our concrete tile shop to ensure it’s what you’re picturing. Use our online customization tools to test different color combinations until you find just the one you want. We can make you a custom strike-off (sample tile) with your custom tile which will reach you in 3-4 weeks. No matter if you choose one of our designs, or create a custom design, browsing through our collections is a great place to start for ideas. Ready to Design Your Dream Space with Cement Tiles? Browse through our tile collections, look through our color options, and skim through our Gallery to get inspired by all of the possibilities with cement tiles. Feeling overwhelmed with all of the options? Do you want to make sure you’re choosing the right design for your home? Are you in the process of building or renovating your commercial space and need to place a large order of tiles? Contact our sales team today. Each of our representatives can tell you everything you need to know about cement tiles, and how to choose and place your order with Granada Tile. Design your dream space with the beautiful handmade cement tiles from Granada Tile, and enjoy the fresh look of your tiled bathroom, kitchen, bar, floor, or outdoor space for many years to come! Cement tiles are very durable and long-lasting, but still need regular maintenance and the right kind of maintenance to keep them in good condition. In this article, we teach homeowners how to properly take care of your cement tiles, and provide maintenance tips, cleanings tips, and tips for removing stains the right way. We also teach cleaning dos and don’ts of concrete tiles and how to re-seal them to maintain their clean, flawless appearance. If you are wanting to take care of your own cement tiles, and would rather save money by maintaining them yourself, this is the how-to article for you. During the installation process, cement tile requires a few steps to ensuring it does not get stained from the materials used and will look as great as possible. Sealing the grout is part of this process. This post explains why it’s important to seal grout during the installation process for concrete tiles, and how to do it. If you’re a DIY homeowner researching the process for installing your own cement tiles, don’t forget this step. It will save you time, money, and many headaches down the road. Get all the information you need in this post about sealing the grout for your concrete tiles! It’s no doubt that cement tiles are a trendy design feature in new and renovated homes nowadays. But in order to make them look their best in a particular space, there are a few considerations to make. Tile size is one of them. In this article, we share our top tips for deciding on the concrete tile size that will work best in your space, to accentuate the right areas and deliver the style you’re going for. You’ll learn how different variations of tile sizes change the way a space looks and feels, and how you can take advantage of that for your unique home or business. If you’re in the process of building or renovating a home or commercial space, choosing flooring material is on your list of to-dos. While hardwood floors are beautiful and classic, don’t dismiss tile floors. Today’s tile isn’t your grandmother’s tile flooring, and it can transform your space from one that looks like everyone else’s into a space that’s completely unique and speaks to your personality. It’s even more important in a commercial space to stand out from the crowd and develop a signature style. Cement tile floors can do all that, while delivering a durable and practical flooring option. Learn why cement tiles make great floors in this post! Whether you’re looking to add color, pattern, texture, or a one-of-a-kind feature in your home or business, cement tiles can completely change the look and feel of a space and make it your own. If you have a room, like a kitchen, that is boring and lacks personality, cement tiles will instantly add style and visual interest. And the great thing about that is, you don’t need an expensive full renovation to do it. All you may need are concrete tiles from our cement tile shop to transform your space and turn it from blah to wow, with color and pattern. Cement tiles, concrete tiles, ceramic tiles, and porcelain tiles… if you’ve started looking into different tile materials, chances are you’ve gotten a bit confused at all of the options and what makes them better or worse. In your search, a term you may have come across is encaustic. What exactly does it mean, and does it apply to cement and ceramic tiles? In this post, we explain the meaning of encaustic for tiles and how it applies to concrete and ceramic tiles. If you have any confusion over this term, or simply how ceramic tiles and cement tiles are made, this post is for you. If you’re the DIY kind of home or business owner, installing cement tile yourself may be a great option. Tiling a floor is one of the most common DIY projects. While doing it yourself can save money down the road, if you don’t know how to install them properly, concrete tiles won’t add the kind of value you’re hoping for. Cement tiles look incredibly stylish and high-end, but if they are improperly installed and begin to stain or warp over time, or just look uneven, they’ll only end up costing you more money, time, and headaches down the road. Learn how to tile a floor using cement tiles with these tips and professional advice. Adding new cement tiles to a bathroom will instantly give it updated style and personality, and can help you create a spa-like environment, or a funky bathroom that really speaks to your taste. You don’t even need to tear everything out and the bathroom sink to make a significant visual impact and add perceived value. And, the best part is, it can often be a DIY job. If you’re wanting to make a real change in your bathroom, we suggest tiling the walls and inside the shower. Don’t know how and worried that you’ll install your concrete tiles incorrectly? Don’t be! Just follow this step-by-step post for tiling a bathroom wall and you’ll have everything you need to do it right. Hand painted and hand poured tiles are very different from each other and are actually completely different types of tile. While ceramic tiles are hand painted with glazes and pigments, cement tiles are hand poured with the design set into the tile itself. This difference is what makes cement tiles so much more durable and long-lasting than ceramic tiles. But that’s not all cement tiles are good for. They offer many more benefits and can be used in a number of ways both in and outside your home or business. Learn more about the features and benefits of handmade cement tiles here. Cement tiles are undoubtedly one of the most stylish and sought after home materials of the design world today. They add artisan-quality color and pattern in a space that just can’t be recreated with any other material. Not even ceramic or porcelain tiles match up. If you have a building or remodeling project you want to tackle in your home or business, be sure to consider cement tile floors. This project makes a big visual impact in a space, without taking over the other elements. It can also be a DIY project, which saves you money. Learn about the many benefits of cement tile floors here and get inspired.